Amanda at The Zen Leaf is hosting a Bleak House Readalong that officially began Wednesday. The event has been enthusiastically received with close to 30 bloggers signing on for the venture. 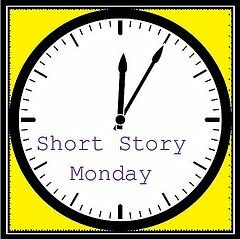 Our plan is to read the book over two months and post an update each Wednesday. But, guess what? I'm already behind. 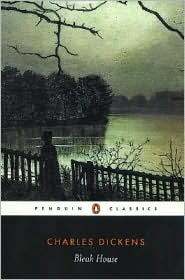 Bleak House is a big, sprawling Victorian novel with multiple plot lines and characters too numerous to count. Rather then give a summary and quotes (I quoted the opening sentences for Teaser Tuesday), I'll share my approach instead. Check out Amanda's post for a summary. My history with Dickens is inconsistent. A Christmas Carol was enjoyable enough, but I struggled to get through A Tale of Two Cities. Last year, I listened to Great Expectations and was enthralled. I simply couldn't get enough, and began to wonder if perhaps the audio format had something to do with my enjoyment. We all know Dickens can be wordy, and sometimes his descriptions do go on and on, but it didn't seem to bother me at all while listening. This time, I'll be both reading and listening. The unabridged audio version read by Robert Whitfield has been downloaded from audible, and I'm reading from the Penguin Classic edition at home. So far, this is working out very well. The initial section introduced several characters and storylines. I easily became involved with each one, and can't wait to see them woven together. At this point, I'm not sure whether I'll post weekly, but the journey will certainly be enjoyable! "London. Michaelmas term lately over, and the Lord Chancellor sitting in Lincoln's Inn Hall. Implacable November weather. As much mud in the streets as if the waters had but newly retired from the face of the earth, and it would not be wonderful to meet a Megalosaurus, forty feet long or so, waddling like an elephantine lizard up Holborn Hill." Amanda's read-along starts tomorrow. Would you like to join us? Teaser Tuesday is hosted by MizB at Should Be Reading. Now that this is properly written out, it's obvious the tasks on list 3 will occupy the majority of my time and energy this week. List 2 (along with a glass of wine!) should provide some relaxation at the end of the day, and list 1 will, most likely, be neglected once again. 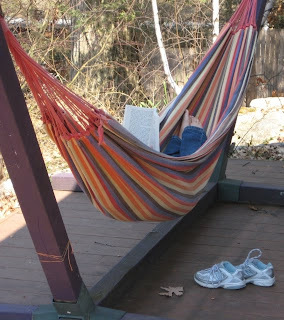 I hope to check in from Maine next Sunday, and get back to 'blogging as usual' after Labor Day. So, what's on you to do/to read list this week? "Never had her ignorance of life and literature so weighed on her as in reliving the short scene of her discomfiture. "It's no use trying to be anything in this place," she muttered to her pillow; and she shrivelled at the vision of vague metropolises, shining super-Netteltons, where girls in better clothes than Belle Balch's talked fluently of architecture to young men with hands like Lucius Harney's. Then she remembered his sudden pause when he had come close to the desk and had his first look at her." Summer is a wonderful book that has been referred to as 'Hot Ethan'. Today I will begin a reread of Ethan Frome and see if I agree. Good morning! Just a quick post to let you know I'm still here - it's been a busy week and there hasn't been much blogging. Daughter #1 came home from her summer in NYC, Twin A returned from her trip to Germany, and Twin B had out-patient surgery (she's fully recovered now!). As a result of all this, I'm behind on writing reviews and reading you blogs. Things may not settle down much until after Labor Day, so it could be quieter than usual around here for the rest of the month. I'm back in business with audiobooks though! My old ipod drowned after falling into the swimming pool and the folks at Apple gave me 10% off on this new iPod Touch. The cute pink silicon sleeve matches my new earhook/earbuds, too! There are many features I'm still investigating, but mostly I'm thrilled to get back to The Immortal Life of Henrietta Lacks by Rebecca Skloot. 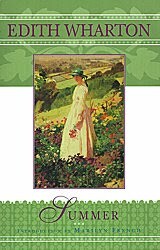 This morning I'll finish Summer by Edith Wharton, a book that's been referred to as "Hot Ethan". I'm enjoying it quite a bit and am thinking of quickly reading Ethan Frome before beginning Bleak House (for Amanda's read-along). Now I'm going to pour another cup of coffee and head outside to finish Summer, then I'll finally visit some of your blogs. Enjoy your Sunday! Now I know where all my flowers have gone! "The apartment had that sinister aspect, that air of hopeless farewells, which belongs to the chambers of the dying. Medicine bottles stood about on the furniture, linen lay in the corners, pushed aside by foot or broom. The disordered chairs themselves seemed affrighted, as if they had run, in all the senses of the word. Death, the formidable, was there, hidden, waiting." Then, the details emerge. Many years earlier, the older sister was engaged, but her true love died very suddenly just days before the wedding. The younger sister, only twelve at the time, vowed she would never marry and stay with her sister forever. "They lived together all the days of their life, without ever being separated a single time. They went side by side, inseparably united. But Marguerite seemed always sad, oppressed, more melancholy than the elder, as though perhaps her sublime sacrifice had broken her spirit. She aged more quickly, had white hair from the age of thirty, and often suffering, seemed afflicted by some secret, gnawing trouble." Finally, the reason behind that 'gnawing trouble' is revealed during the death-bed confession. All this in three pages! It packs quite a punch and will leave a lasting impression... which is what I have come to expect from a Guy de Maupassant story. You may read it here. Short Story Monday is hosted by John at The Book Mine Set. Other reading this week included the graphic memoir Persepolis by Marjane Satrapi (my review) and some back issues of The New Yorker. I won't embarrass myself by telling you how many more are still stacked up! Just past the halfway point, The Immortal Life of Henrietta Lacks by Rebecca Skloot continues to keep me hanging on every word. However, my audiobook progress suffered a severe setback last weekend when the iPod ended up in the swimming pool and failed to respond to every lifesaving measure we could think of! Purchasing a new one is near the top of my agenda this week. I'm considering upgrading to the iPod Touch. Do any of you have one? Amanda at The Zen Leaf is hosting a Bleak House Read-along beginning at the end of the month. The book has been on my shelf for several years and I'd already decided it would be my next Dickens. This is too good to pass up. Plus, she made a great button! Check out all the details here. 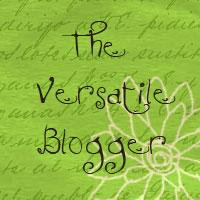 Finally, Karen from Books and Chocolate has given me The Versatile Blogger Award. If you haven't met Karen yet, you really should. She loves classics and writes the most wonderful reviews. Food (and food writing) is also high on her list, and I have a feeling she is a very accomplished cook. Thank you so much for this award, Karen! 1. I left a career as a clinical pharmacist over fifteen years ago to stay at home with my three daughters. The oldest is now 20 and the twins are 17, but I never made it back to pharmacy - just too busy! 2. I was totally science-overloaded after college and turned to French Cooking classes for fun. I still love to cook and started a cooking blog with my daughter last spring. 3. I can watch sports for hours! From kindergarten kick-about (soccer) to college basketball, I've been to literally thousands of my kids games. I will watch almost any sport and wish March Madness lasted all year long. My husband likes to say I would have made some sports fan a great wife. 4. I grew up as the musician in a family of athletes. 5. I love to travel, but have lived in the same small town for 22 years. 6. Nothing complements good food like good wine. My husband is slowly transforming me into an oenophile. 7. I met my husband on a psychiatric ward, but wouldn't talk to him at first... it's sometimes hard to tell patients from staff! We will celebrate our 25th wedding anniversary in November. 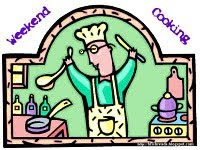 Today's Weekend Cooking post can be found at Lakeside Kitchen. A graphic novel in a college curriculum? Evidently. It was a surprise to see Persepolis in the Amazon box containing my daughter's fall semester textbooks, but it turns out her college is not alone. I'm not sure whether it's for one of the writing classes (several other memoir/autobiographies were included in the shipment) or Intro to Women's Studies, but it is certainly appropriate for any of them. 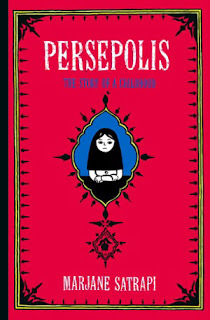 Persepolis begins with Iran's 1979 Islamic Revolution when Satrapi, the great-granddaughter of one of Iran's last emperors, is 10 years old. She's smart, outspoken, and, as the only child of fervent Marxists, offers a unique child's perspective on the era. The book ends four years later when her parents, fearing for their daughter's safety during the Iran-Iraq War, send Marjane to Vienna. 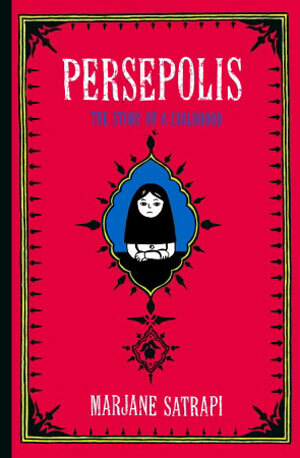 Although Persepolis is a graphic novel, it is not a quick, easy read. Nor is it exactly "enjoyable". The black and white drawings effectively portray the tragedy and hardship of war. They also posses an amazing ability to convey an immediacy of despair, and I found my eyes welling up once or twice along the way. Even if you shy away from war memoirs as I do, Persepolis is well worth taking a look at. Satrapi's more recent books, Persepolis 2 and Embroideries, have been added to my tbr list. And, after struggling to read the text in some of the speech bubbles, investing in a new pair of reading glasses has been added to my "to do"list!